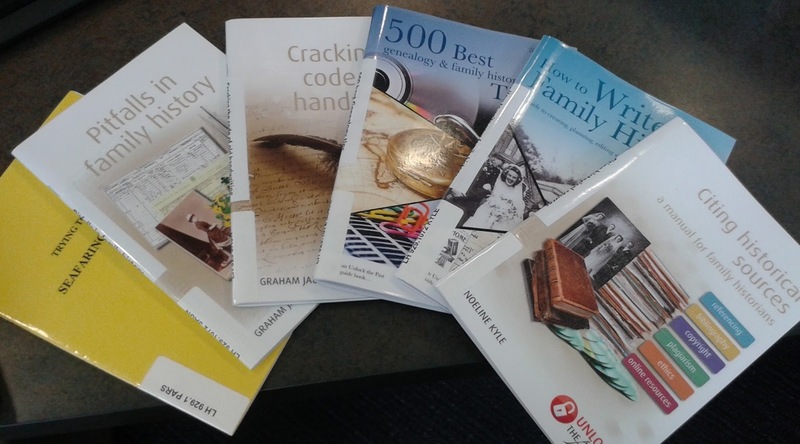 Wagga Wagga City Library recently purchased a range of up-to-date, concise guides to a wide variety of tricky family history problems. These small booklets offer straightforward advice with no waffle, no dithering on topics that cause issues for the modern day researcher. Many guides, in the past, brought an inappropriately long-winded and literary tone to the subject making an already difficult job harder. The great thing about these guides is they set out complicated processes and ideas in plain language anyone can follow. All of these guides are available for loan and, as part of the local studies collection, available for viewing within the library. Author Shauna Hicks has over 35 years experience working with historical records, archives and libraries, and brings that wealth of knowledge to helping you research family history. In Where do I start Ms Hicks outlines the "golden rules of genealogy", how to search births, deaths and marriages online, military records and more. 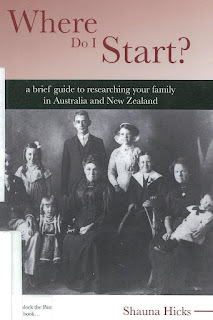 There is an introduction to searching overseas databases, and tips on how to actually start writing your family history as a compelling story. 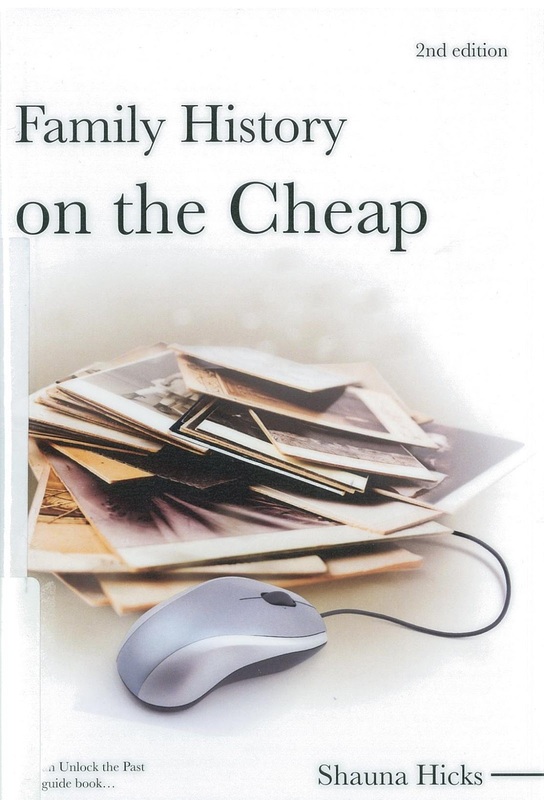 The cost of researching your family history has been one of those subjects not often tackled. 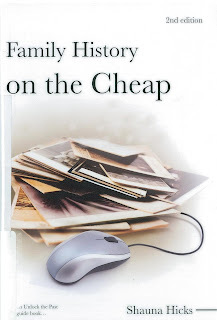 Ms Hicks addresses the issues surrounding the sometimes hidden costs involved with family history research and shows you how to minimise your expenditure. Topics covered include : not paying full price for certificates, planning your travel to cut down on costs, and whether or not you should use professional researchers. The third title here by Shauna Hicks, It's not all online shows you how to do real time research in the real world. 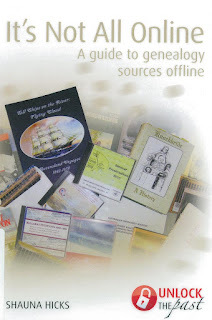 Not everything has been digitised and the actual repositories of historical records can be a gold mine of information if you plan in advance. Ms Hicks covers how to use museums, local historical societies, and libraries to find the information you need. 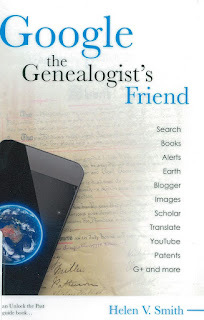 You are probably already aware of how great Google is as an aide to family history research, but now here's a book confirming it's helpfulness. Helen V Smith sets out clearly how to use Google alerts, what search terms and tactics to use, and even how Google translate and other services you may not have thought of as relevant, can turn up some real gems. Next time you are in the library, as a new researcher or someone already on your family history journey, have a browse of the many great titles available in this series.